The Spähpanzer Luchs (German: Lynx) is a German 8x8 amphibious reconnaissance armoured fighting vehicle (Spähpanzer) in service since 1975 by the German Army, who used a total of 408 in their armoured reconnaissance battalions. It was developed by Daimler-Benz between 1968 and 1975, replacing the M41 and the Schützenpanzer SPz 11-2 Kurz. 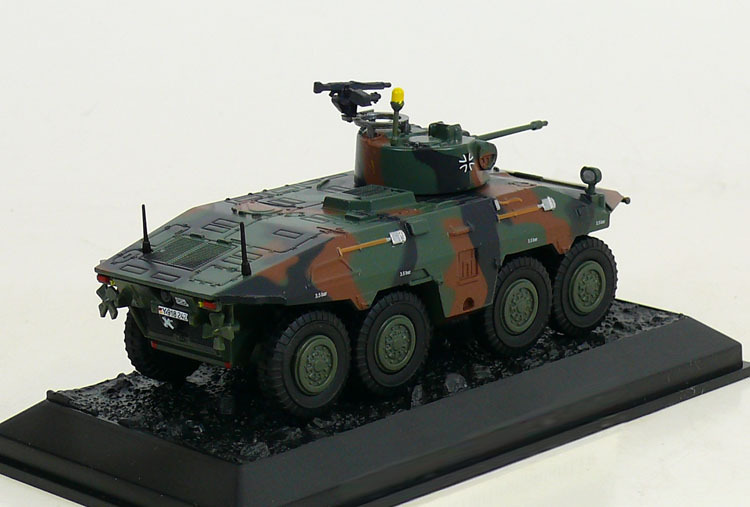 The all-wheel drive Luchs made by Thyssen-Henschel (now: Rheinmetall) is well armoured, has an NBC protection system and is characterized by its low-noise running. The eight large low-pressure tyres have run-flat properties. At speeds up to about 50 km/h all four axles can be steered. As a special feature the vehicle is equipped with a special rear-facing driver with his own driving position. Up to the first combat effectiveness upgrade in 1986 the Luchs was fully amphibious and could surmount water obstacles quickly and independently using propellers at the rear and the fold back trim vane at the front. The 20 mm Rheinmetall MK 20 Rh 202 gun in the turret is similar to the one in the Marder IFV. The upgrade to the Luchs A1 starting in 1986 included the incorporation of a thermal observation and gunnery system, which replaced the original infrared/white light night vision system mounted to the left of the turret. 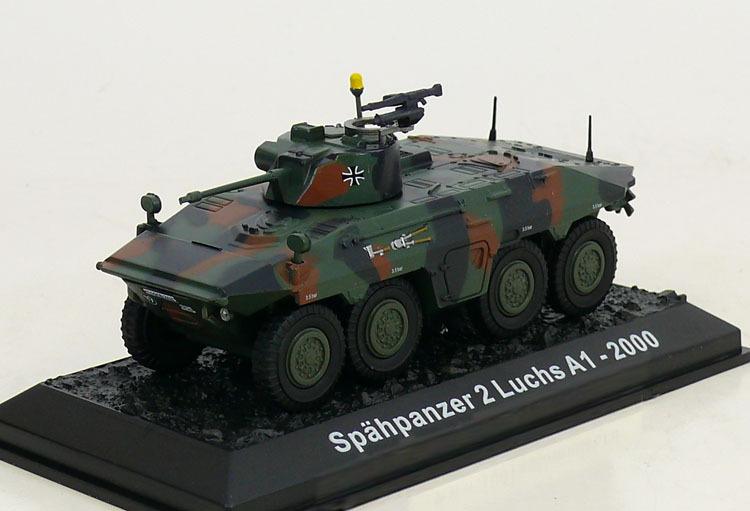 The incorporation of the new SEM 80/90 radio system gave it the designation SpPz 2 Luchs A2. The Luchs was replaced by the Fennek in Bundeswehr service.